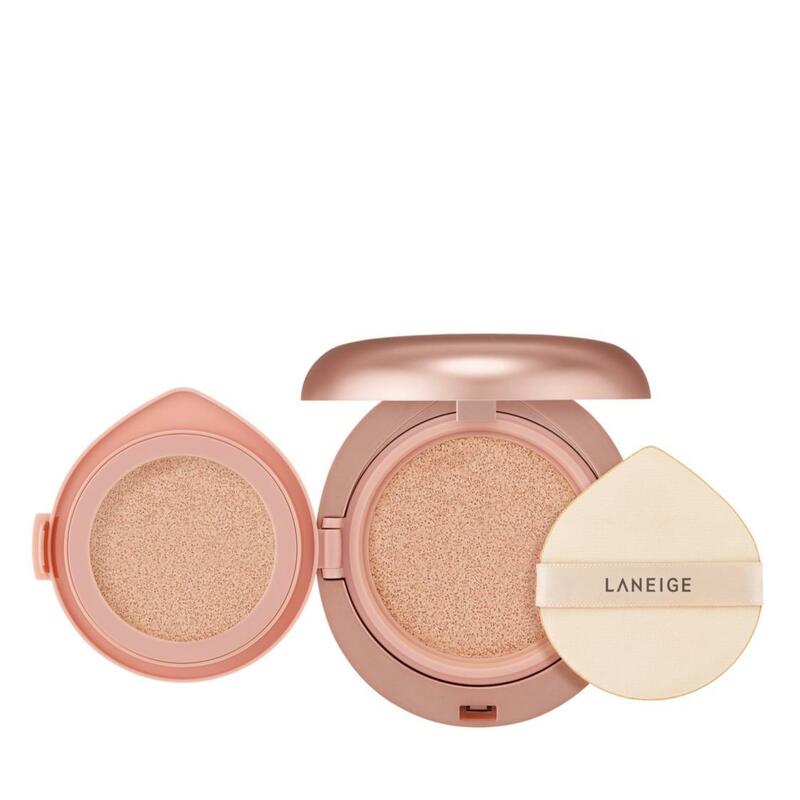 LANEIGE’s NEW Layering Cover Cushion & Concealing Base is a dual cushion compact to cover blemishes perfectly and to give your skin that semi-matte finish - for a clean, moist and rosy complexion. Formulated with Aqua Melting Technology, the Concealing Base adheres firmly to your skin for a soft yet high coverage finish. Infused with fine Illuminating Jewel Powder, the Layering Cover Cushion illuminates your complexion, giving it a 3-dimensional and long lasting brightening effect. Formulated to maximize moisture content, the Layering Cover Cushion leaves a moist cooling effect upon application. The Litchi Skin Extract contains anti-oxidant properties that calms and protects the skin. Designed to effectively use both concealer and cushion, the layering puff is shaped in the form of a water drop for face curvature. The top of the puff is velvet textured for concealing base and the bottom is an air puff for cushion base. Available in 7 different shades, giving all-day coverage for different skin tones.